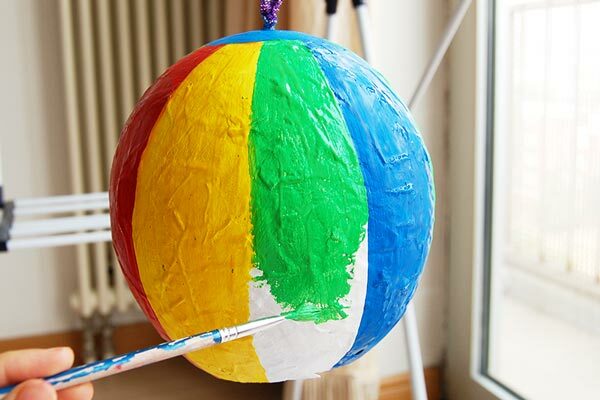 Create a mini hot air balloon out of papier mache. 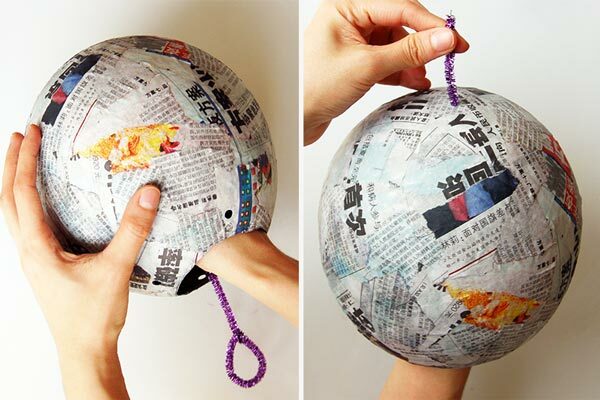 1Papier mache around a balloon. 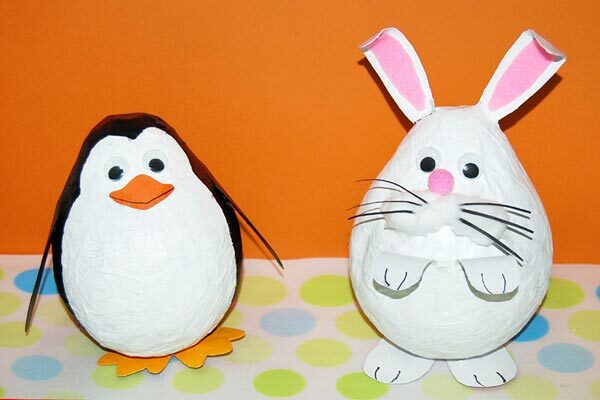 Make a papier mache using an oval balloon as the mold. 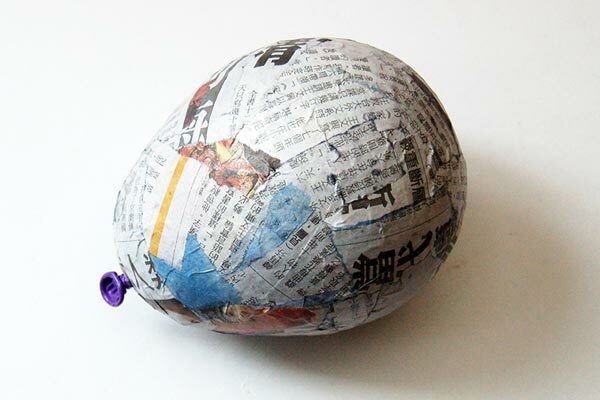 The steps are outlined in our Papier Mache Ballooon page. 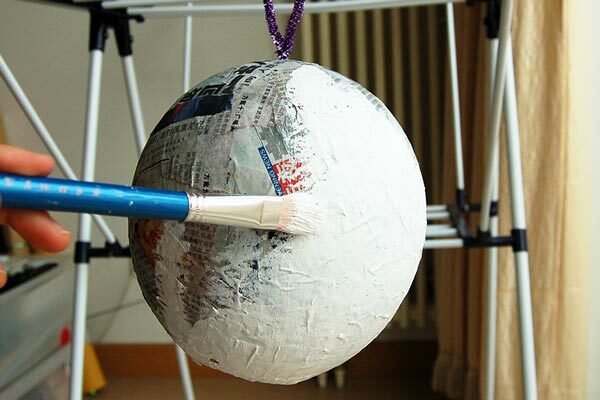 Once the papier mache is completely dry, pop the balloon. 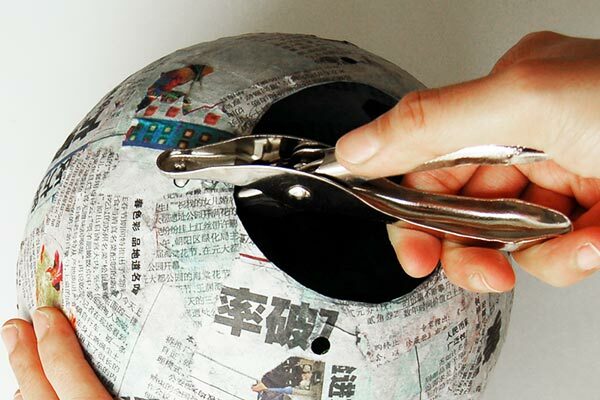 With a pair of scissors, widen the bottom hole on the papier mache to a diameter of about 2-3 inches. 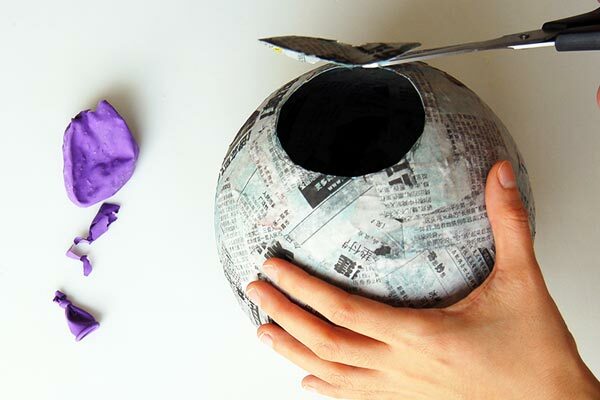 Remove the deflated balloon from the papier mache. 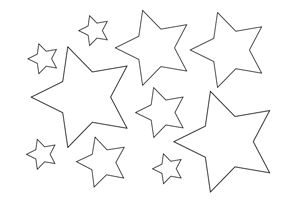 Punch four evenly-spaced holes around the opening. 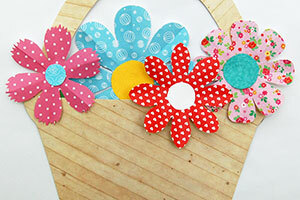 4Make a small hole on top. 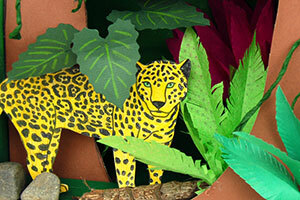 Use the point of a pencil to make a small hole at the top of your papier mache. 5Loop one end of a pipe cleaner. 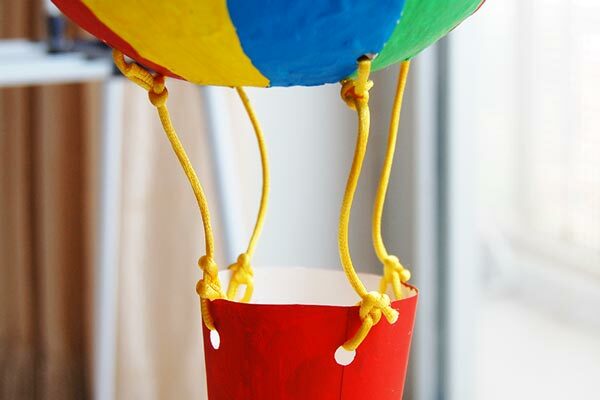 Use a pipe cleaner to make the handle at the top of your hot air balloon. 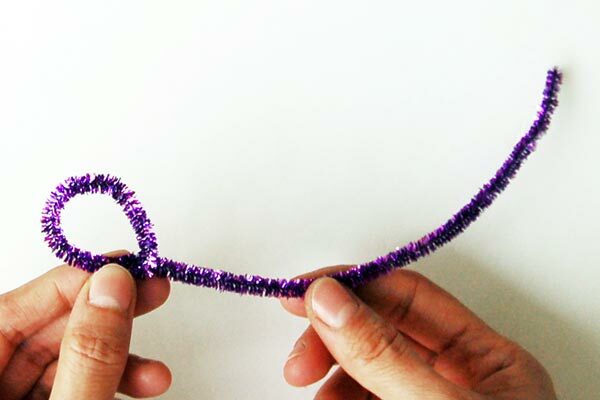 First, make a small loop on one end of a pipe cleaner. 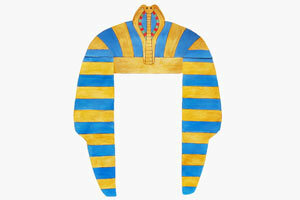 Next, insert the straight end of the pipe cleaner from inside the papier mache—in through the large opening at the bottom and out through the small hole on top. 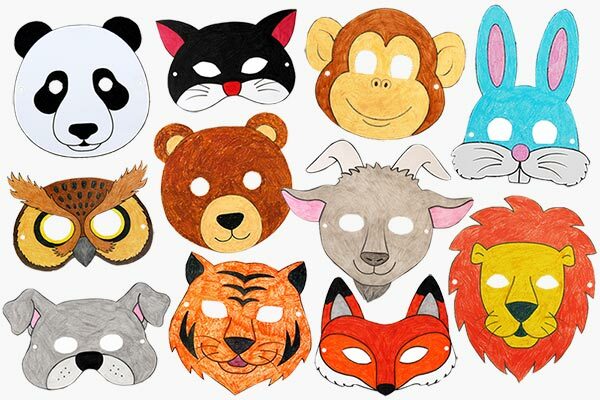 Pull all the way through. 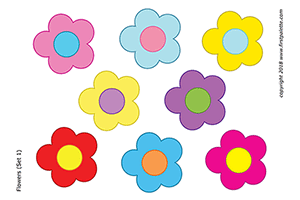 The loop on the pipe cleaner serves as a stopper. 7Loop the top of the pipe cleaner. 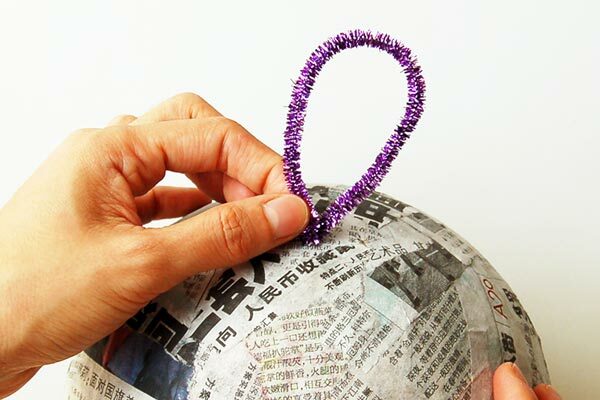 Loop the protruding portion of the pipe cleaner at the top of the papier mache to create a handle for your hot air balloon. 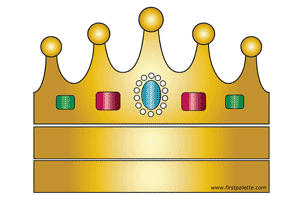 Fasten the end in place. 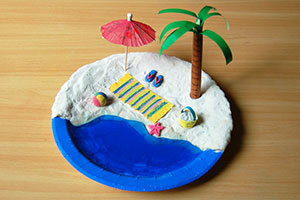 Paint your papier mache with white acrylic paint or poster paint. 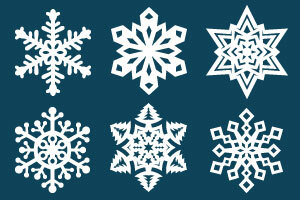 This layer serves as the primer. 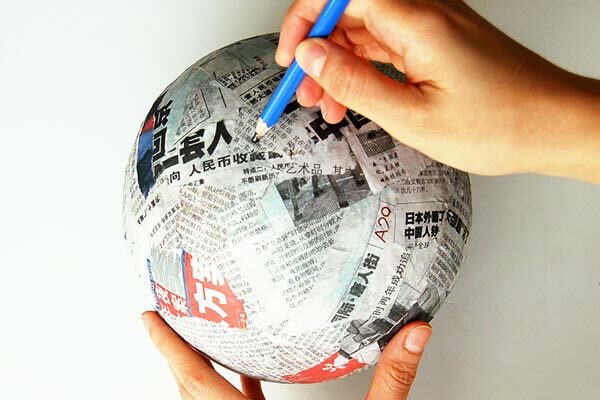 It helps cover the newsprint on your papier mache and prepare it for the final colors of your hot air balloon. 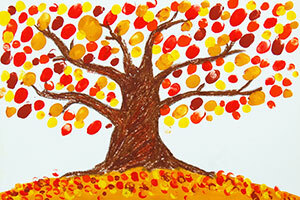 Let the paint dry completely. 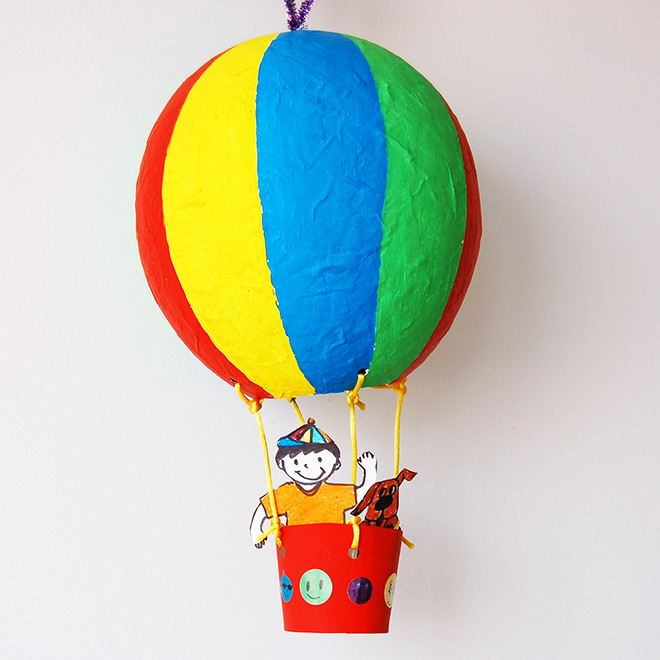 Use poster paint or acrylic paint to paint your papier mache with the final colors and design for your hot air balloon. 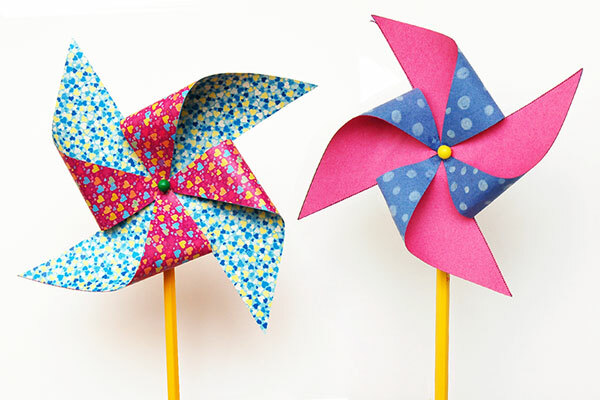 Create a basket for your hot air balloon either with a plastic yoghurt cup or a small paper cup. 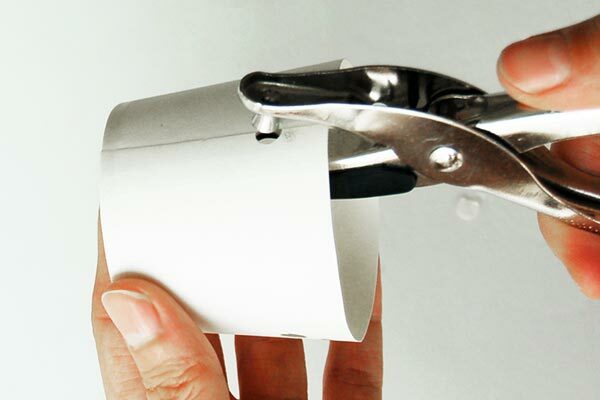 Trim the paper cup to the desired height. 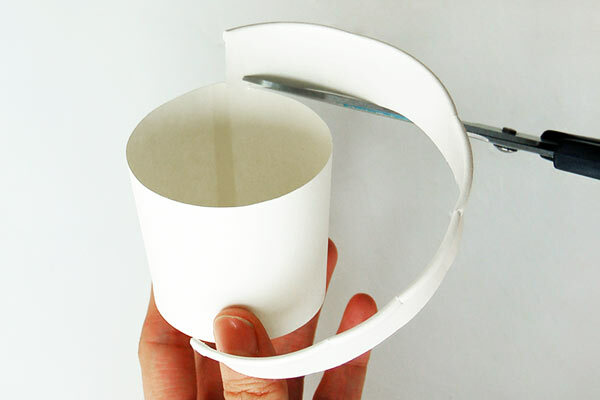 Punch four evenly-spaced holes around the mouth of the paper cup. 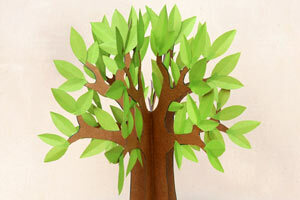 Paint the paper cup with acrylic or poster paint. 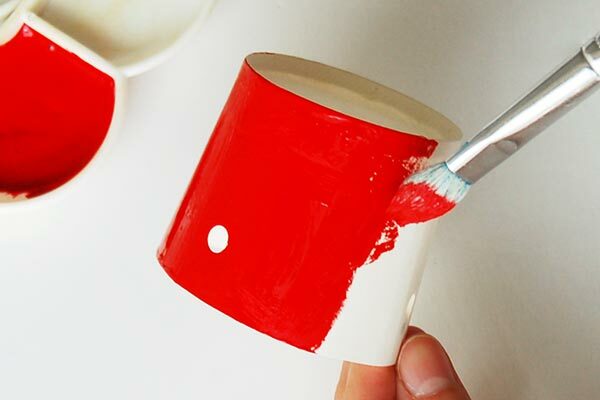 If your paper cup has a glossy or waxy finish, use acrylic paint. 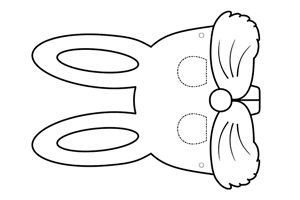 13Connect the basket to the balloon. 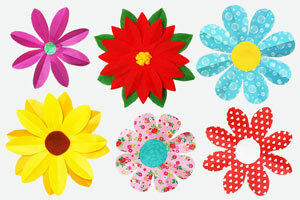 Attach the basket to the papier mache by tying strings to connect the holes on the balloon to those of the basket. 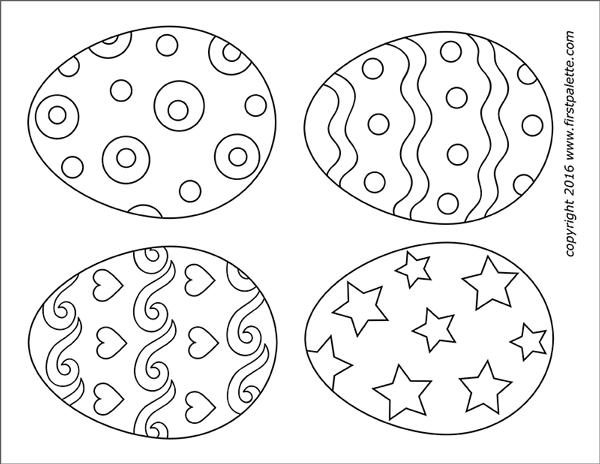 Decorate your hot air balloon with stickers, foam shapes or glitter glue. 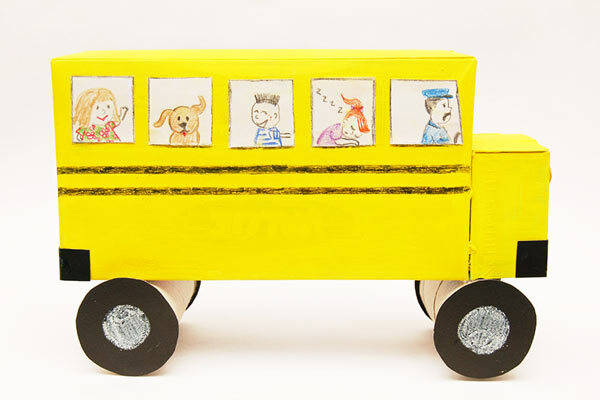 You can even draw and cut paper people and animals to ride in your hot air balloon!